Gill Plumbing and Heating is a family-owned plumbing, heating and cooling business serving the Downriver MI and Dearborn, Michigan areas. Licensed and insured, we have provided honest, trustworthy and reliable service since 1954. Operating with a Master Plumbers License, a Plumbing Contractors License, a Mechanical Contractors License, a Boiler Installers License, Back Flow Certification and more. Gill Plumbing and Heating is a respected company with a reputation for great work and customer service. • We provide a full range of services that include: residential and commercial plumbing, residential and commercial heating and residential and commercial cooling services. We service all makes and models, and we do things right. We fix what really needs to be fixed, ande treat people the way we want to be treated. We’re very proud of our outstanding customer service. 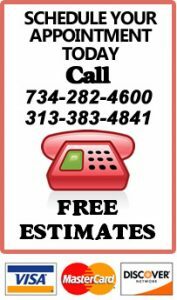 • Call a trusted, reliable and honest plumbing contractor in MI, heating company in Wyandotte, MI and cooling company in Riverview, MI. Call Gill Plumbing and Heating for all your service, installation and maintenance needs. I’ve used Gill for years and have always been pleased with their work. I’ve had them snake my main drain line in the basement when it backed up, install a new furnace and AC, and a new hot water heater. They were reasonably priced, quick, and did the best quality work you could ask for. I trust their expertise and won’t call anyone else. I woke up one morning to a leaking water heater and called Gill Plumbing & Heating for a replacement. I received same-day service, great workmanship, and a fair price. They cleaned up after themselves and were nice and polite. I would certainly hire them again.